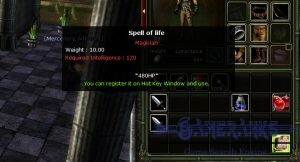 What is Prayer of Life for in Knight Online? 1.2 Where to Find Prayer of Life? Which Creatures Drop It? 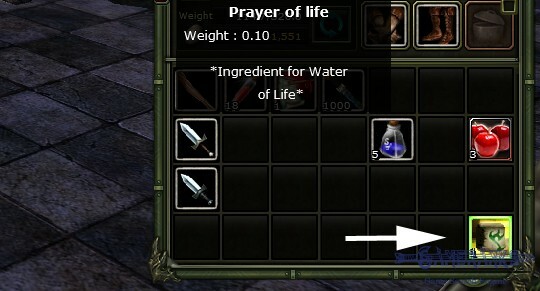 Prayer of life is an item that will help you create potions. However your class needs to be priest and you need to get 60th level skill of Healing. Otherwise you won’t able to use this item if you ever be a level 60 priest but not based on healing job. There are many other prayer papers that will help you to create potions and you will able to gain good amount of gold with using these papers. Prayer of life will help you to create the smallest health potion. Since people don’t prefer to buy these potions, we recommend you to create bigger potions. Prayer of Life is one of the cheapest items at NPC merchants. You can buy these items from sundries in towns and castles. 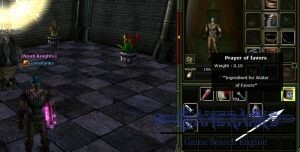 You can not find these items at player merchants since it is very cheap. Where to Find Prayer of Life? Which Creatures Drop It? You can find these items at any Sundries in the game. Many creatures can drop this item on the game randomly. 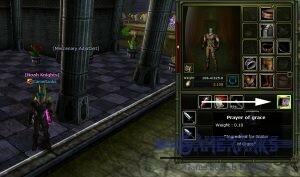 Game Rankings & ReviewsKnight OnlineKnight Online ItemsWhat is Prayer of Life for in Knight Online? What is Spell of Life for? 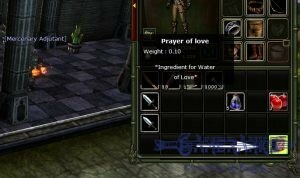 What is Prayer of Love in Knight Online? What is Prayer of Grace in Knight Online? What is Prayer of Favors?